If you love sushi, you will love the special All-You-Can-Eat sushi deal at Aru Sushi, Steak & Fusion, the best sushi restaurant in Avalon Orlando. From the freshest sushi Avalon Orlando, to the amazing sashimi and hand crafted sushi rolls, you will not find better sushi anywhere. Only at A-Aki Avalon will you find All-You-Can-Eat sushi that includes appetizers, tempura, katsu, hibachi, soup & salad, plus your favorite sushi, sashimi, rolls and special rolls. And dessert. Whether you want to sit at the sushi bar, dining room or our full service bar, you will enjoy All-You-Can-Eat sushi for only $19.95 per person. ($11.95 for kids under 12 and under 4 foot tall). With our excellent reputation for the best sushi restaurant in Avalon Orlando with so many options on our All-You-Can-Eat sushi list, you will not be disappointed. 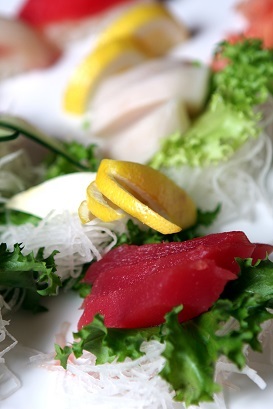 Our skilled chefs take pride in their meticulous meal preparation and authentic sushi recipes. 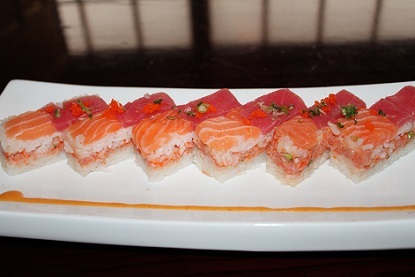 Aru Sushi, Steak & Fusion is known for using the freshest ingredients in preparing the highest quality meals. And for our All-You-Can-Eat sushi, we have the largest selection you will find offering a memorable dining experience while indulging in our mouth-watering and inventive sushi creations. For sushi lovers in Avalon Orlando, you have to check out A-Aki Avalon’s amazing All-You-Can-Eat sushi menu. This is a remarkable dining experience with the most options, best price, best deal, best value and tastiest sushi in Avalon Orlando. Your All-You-Can-Eat sushi dining experience will be something you’ll look forward to coming back for over and over again. Whether for lunch or dinner, Aru Sushi, Steak & Fusion will provide you with the best experience for All-You-Can-Eat sushi. Come check out the best sushi in Avalon Orlando at the best sushi restaurant in Avalon Orlando today.